Looking for the perfect holiday gift for all the foodies and food lovers in your life? We are not Martha’a 2017 Holiday Gift Guide for Food Lovers is here! Welcome to my eighth annual holiday gift guide!! I can’t even believe this is my eighth one of these bad boys, but they’re some of my very favorite posts to write, so I’m excited to still be going strong. To be honest, holiday shopping really stresses me out and I don’t find it super enjoyable. It seems like you can find perfect gifts for people at random times throughout the year, but when you actually need to get a gift, it’s impossible to find anything, right?? So, I hope this guide helps you find the perfect gift for all of your loved ones and allows you to have a super enjoyable and low stress holiday season. The awesome thing is that many of the items from my previous seven gift guides are totally still relevant and while everything may not still be available (especially from 2010! ), lots still is. So, feel free to check out all the old guides, too: 2010, 2011, 2012, 2013, 2014, 2015, 2016. In the meantime, enjoy my 2017 holiday gift guide for food lovers! I always have a few gifts from Anthropologie in my gift guides because all of the home and kitchen items they sell are so beautiful and perfect for gift-giving. 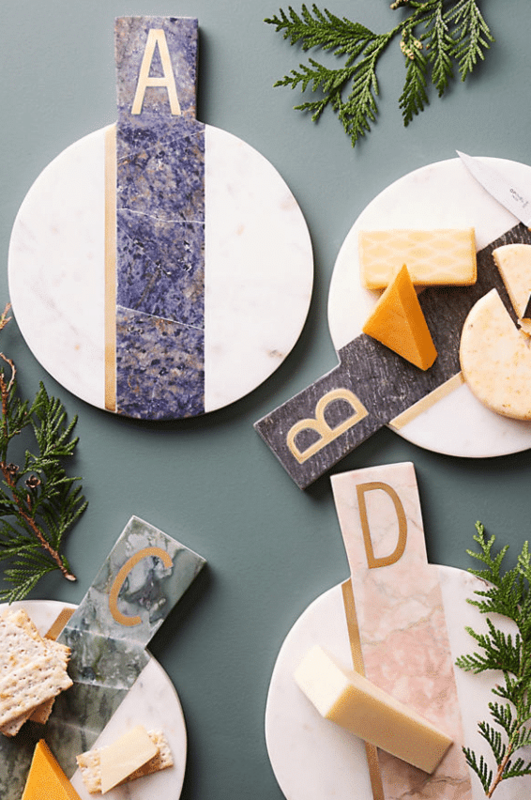 This year, I’m obsessed with these monogrammed cheese boards because they’re adorable, useful, and semi-personalized. If you’re giving this as a host/hostess gift, it would be cute to include a selection of cheeses. Or if you have a higher budget, a subscription to a cheese-of-the-month club. As someone who always has leftovers with dinner and absolutely hates saran wrap (why is it a constant battle?? ), I love these linen and cotton bowl covers from Dot and Army. 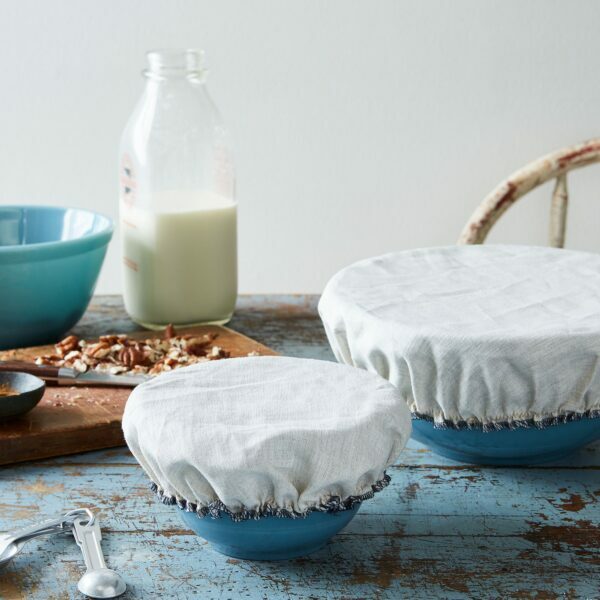 They fit snuggly over bowls and are machine washable, making them super easy to use and better for the environment, too! Pineapples are super trendy right now and I have an especially high love for them after my recent trip to Hawaii. 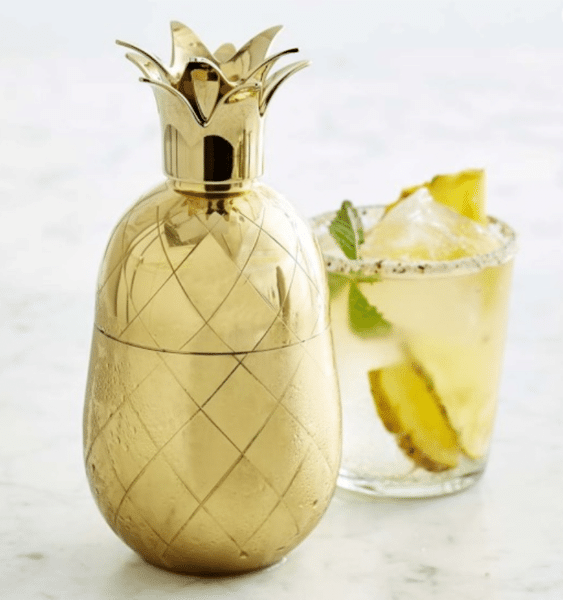 This gold pineapple cocktail shaker is so much more fun than the average barware and would make a lovely gift… Especially if you paired it with a nice bottle of spirits. As a New Englander, I fully understand the importance of a good lobster roll. And realize how painful it must be for people who live in areas where lobster isn’t readily available and lobster rolls are rare. 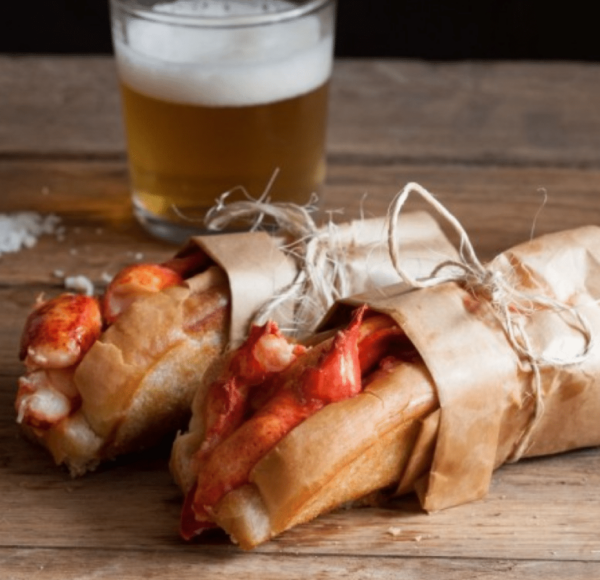 So, I think this Lobster Rolls at Home Kit from Cousins Maine Lobster is pretty much the best idea ever. If you know someone who loves Maine lobster, but can’t enjoy it as much as they’d like due to location, this would be the loveliest gift! They also have a kit that includes the lobster rolls, plus lobster mac and cheese and whoopie pies. Heaven. What do you get for the person who has everything? Stuff for their dog! Seriously though, dog lovers can be obsessed with their pups (not speaking from experience or anything, ahem) and always appreciate people showing love for them. 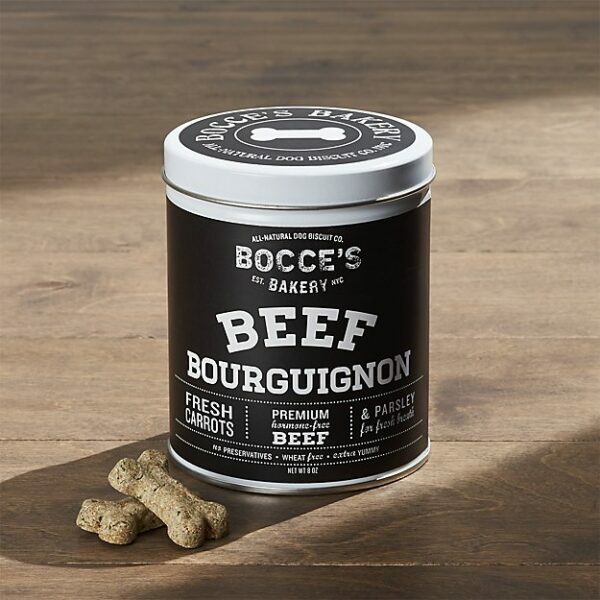 These beef bourguignon dog treats from Crate and Barrel ensure that food lovers’ dogs will be eating just as well as they do. Pair them with a fried chicken dog toy (how cute!) and you have the perfect gift. I love this gift idea because it’s fun, useful, and for a good cause. These spatulas are designed by celebrities and 30% of proceeds from their sales is donated to Share Our Strength’s No Kid Hungry. 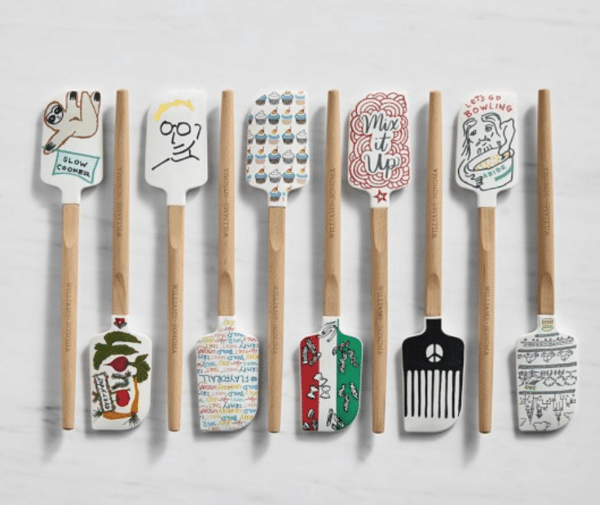 I want to start collecting them all and have a special affinity for Alton Brown’s (who doesn’t need a spatula with Alton Brown’s hand-drawn face on it?? ), Ayesha Curry’s, and Neil Patrick Harris & David Burtka’s. This simple copper heart one is also adorable. My husband got me the Anova Sous Vide Precision Cooker for my birthday a couple years ago and it took me almost two years to actually use it. But when I finally did, I became obsessed! This is another great gift for food lovers who have everything. 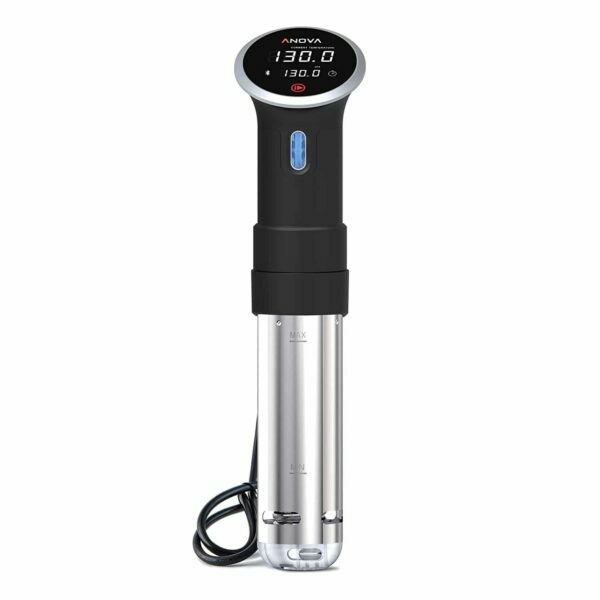 Does a home cook need a sous vide cooker? Probably not. But will they fall in love with sous vide eggs, meat, and fish once they have one? Definitely. Who couldn’t use more coasters? I love that something so simple and useful can add such a fun touch to any room. 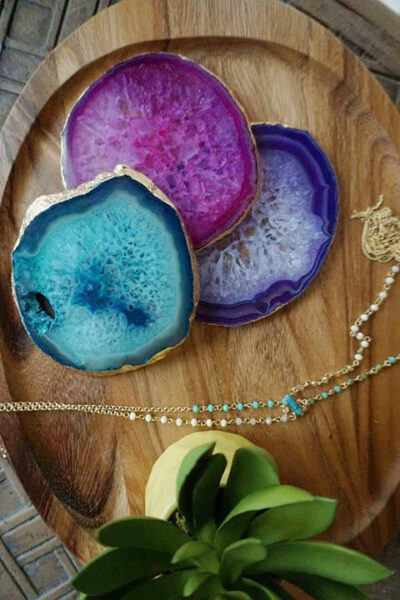 Any these agate coasters are probably the prettiest coasters I’ve ever seen. 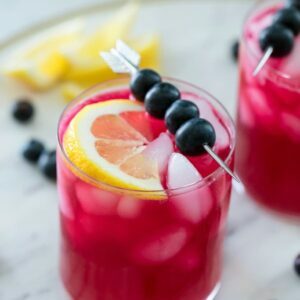 This is another good gift that pairs well with a bottle of alcohol or other cocktail-related gift (clearly, my mind is on cocktails this year!). 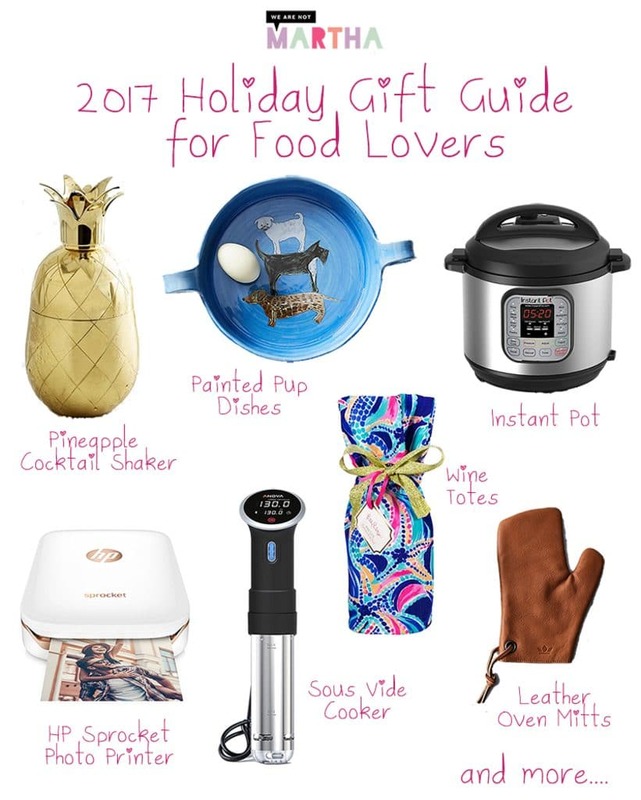 OK, so I think the Instant Pot is on every foodie gift guide this holiday season. But for good reason! I actually didn’t even realize I wanted one last year, but my sister got me one for Christmas and I quickly fell in love. I’m still learning everything you can do with this electric pressure cooker, but the other night I made polenta in just a few minutes (it wasn’t instant polenta) and my hardboiled eggs come out so good in this that I won’t make them any other way. 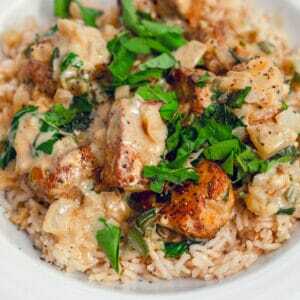 The Instant Pot is so popular these days that there is no shortage of recipes to try. Instant slushies?? Yes, please! 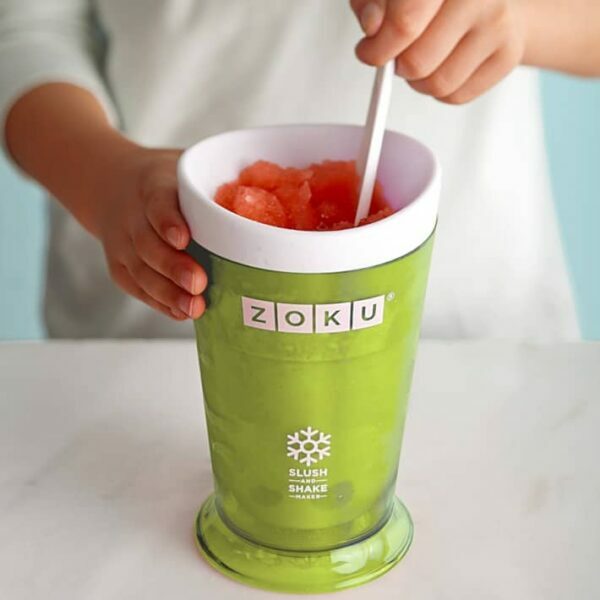 With Zoku’s Slush and Smoothie Maker, you simply pour liquid into the cup (kept in your freezer) and stir it up and your slush is ready! You can make milkshakes and smoothies in it, too. This gift is perfect for adults and kids alike. More gifts for dog lovers (sorry I can’t help myself)! 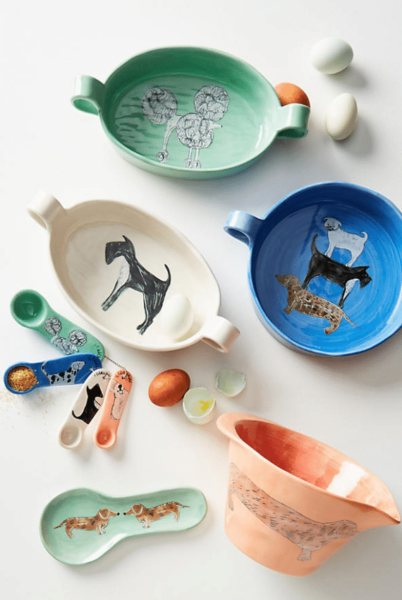 Artist Gemma Orkin makes the sweetest dishes featuring dogs in her “Painted Pups” line at Anthropologie. The mixing bowl and gratin dish are my personal favorites. Matcha is very “in” right now and it’s likely to only get more popular in 2018! 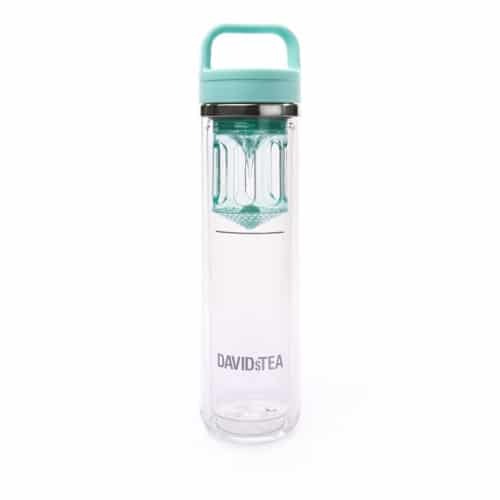 I love how easy it is to make in this on-the-go Matcha Maker from DAVIDsTEA. Plus, David’s has tons of great ground matchas in flavors like peach, vanilla, and mint. OK, so this gift isn’t directly tied to food. But any food lover you know, likely enjoys taking photos of their food, too, right? This tiny (literally fits in the palm of your hand!) 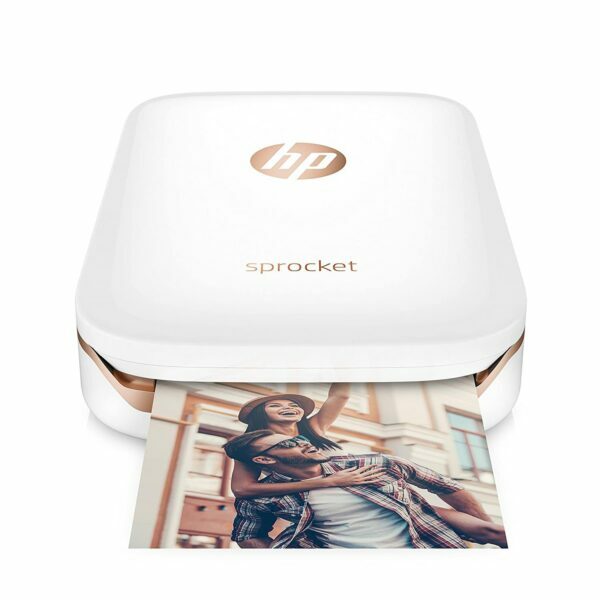 little HP Sprocket photo printer is perfect because it lets you print photos right from your phone; it even connects to your social media accounts. This could be dangerous for me because not only would I be posting Instagram photos of my dinners every night, but I’d also be printing them out and hanging them on my wall. Of course, you can print more than just photos of your recent eats! Have you ever thought about how ugly most oven mitts and potholders are? Not only that, but they get so grubby and dirty so quickly. These suede potholders are perfect for anyone who likes a more rustic look in the kitchen over that 1950s housewife vibe. 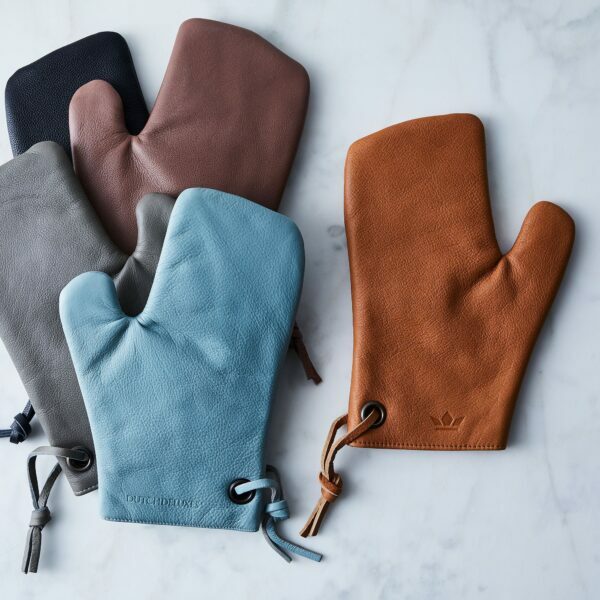 Food52 also makes these awesome leather oven mitts! 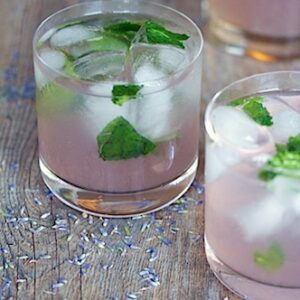 These little stemless glasses are all the rage this year (in good thanks to Oprah!) and it’s easy to see why. They keep your wine cold for up to 8 hours!! But honestly, what I love even more than that is that they can keep coffee hot for up to 3 hours. 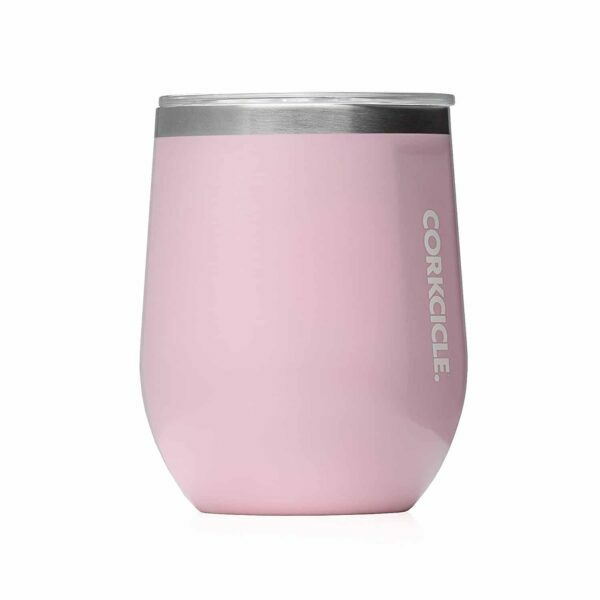 As someone who feels like my coffee is constantly cold, I need these Corkcicle glasses in my life. And I bet you have a few wine and/or coffee lovers on your gift list, too! Another great gift for that person who has everything… Custom ice cream! Not only can you actually personalize the ice cream containers, but you can actually create your own flavor for your loved ones. Who wouldn’t love getting their very own ice cream for Christmas?? Most avid cooks would agree that you can’t have too many cutting boards. And this little cutting board set from FortheHost makes for a great host/hostess gift or simply for anyone who loves being in the kitchen. Choose a color that best suits your recipient and gift away! While of course I could live without my Keurig coffee maker, my life would be missing a little piece of happiness without it! The K-Select machine makes the perfect gift, especially for any foodies that find themselves spending long hours in the kitchen and desperately needing “just one more” cup of coffee. 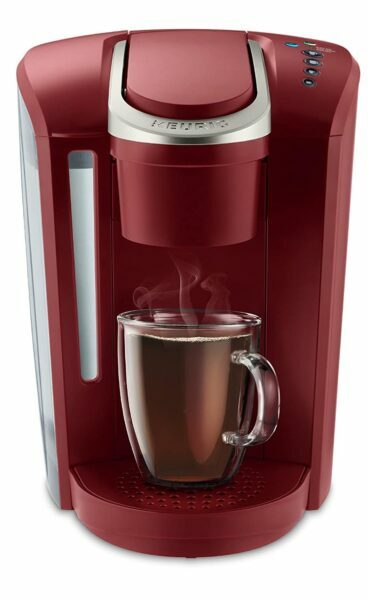 The best thing about Keurig’s newest machine? It has a “Strong Brew” button! Push it for a stronger more intense cup of quality coffee… Seriously what I’ve been dreaming about. 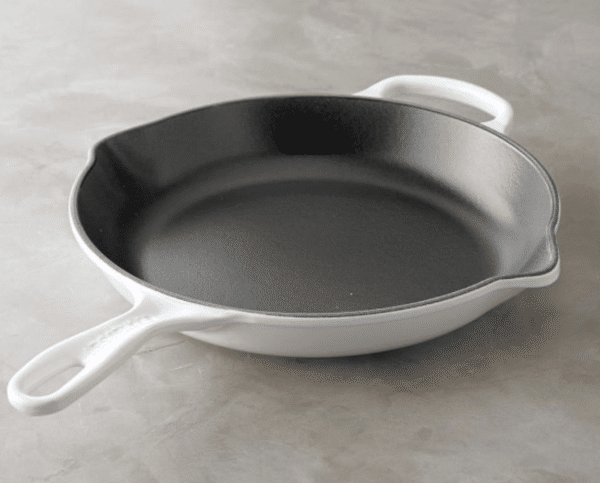 If the cook in your life doesn’t own a cast iron pan, you need to get on that! I am obsessed with my Le Creuset cast iron pan and find myself using it more and more these days. Le Creuset items make such great gifts since they’re such high-quality and you can pick a color best suited to your recipient. The cast iron skillets aren’t cheap, but they won’t break the bank as much as other Le Creuset products. 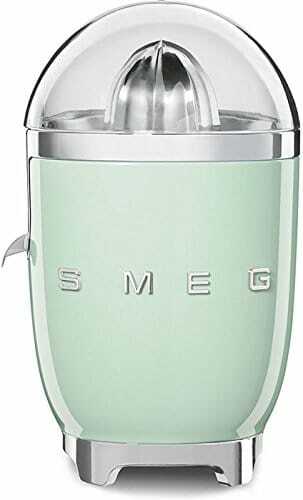 For anyone who’s ever dreamed of a Smeg equipped kitchen, but can’t quite stomach the $2,000+ fridge price tag… A Smeg juicer will add that fun splash of color to your kitchen, allow you fresh juice every morning, and will come in at a much lower cost. Finally, if you are going to go the liquor gift route (which is generally always welcome! ), I recommend putting the bottle of wine or liquor in a cute bag that will make the gift a bit more fun for the recipient. 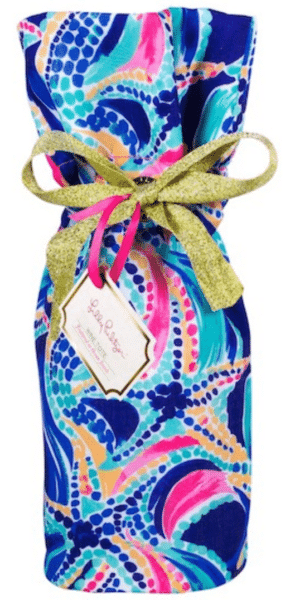 These Lilly Pulitzer bags are adorable (and are a great price). Throw in a starfish wine stopper, too, if you’re feeling extra generous! And that’s a wrap! I hope you’re able to sail smoothly through the rest of the holiday gift buying season stress free. And take that time to enjoy your family, friends, and lots of good food! 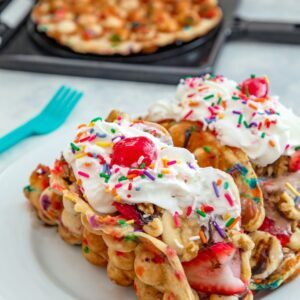 9 Responses to "2017 Holiday Gift Guide for Food Lovers"
This is such a great gift guide! I am loving everything, especially those oven mitts. swoon! 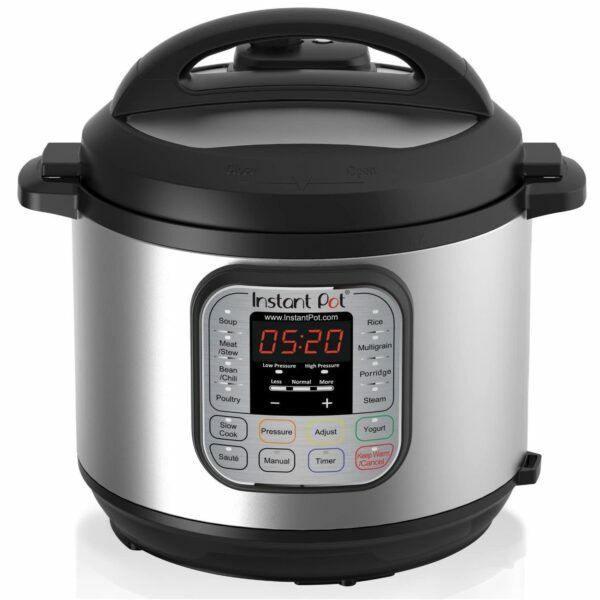 I REALLY want an instant pot, and fingers crossed that this is what I’m getting for Christmas this year! I love seeing what other cooks/chefs like as gifts. This is such a fun list! 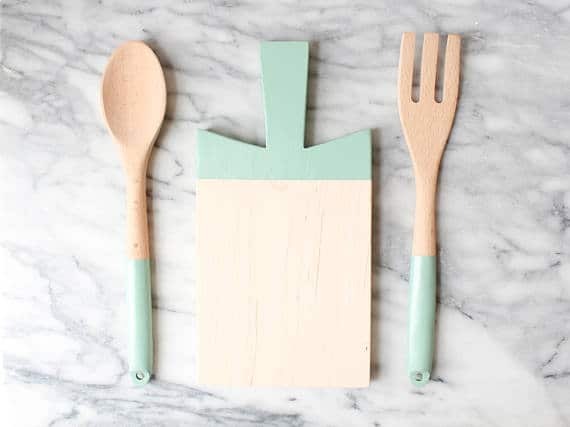 The rubber spatulas are too cute, and the bowl covers are so practical. I definitely need a few of those! So many wonderful options! I am LOVING those monogrammed boards. The painted pup dishes are on my Christmas list! I totally squealed when I saw the spoon rest :). And holy cow, NPH designed a spatula? I NEED THAT! Love this gift guide, I’m totally putting the HP printer on my wishlist now!